It seems like as soon as you spot one weed, they begin to multiply by the hour until they become a huge problem. While getting rid of them may seem like a daunting task, it will boost your turf’s health and make your landscape more appealing. The most effective way to get rid of weeds is to make sure your lawn is an environment that is difficult for them to thrive in. For example, grass that is low mowed, water deprived and compacted soil all promote the growth of weeds. 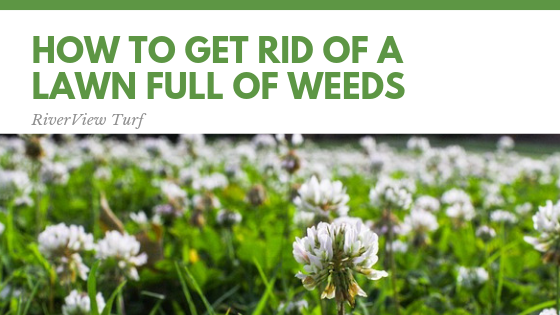 So, avoiding these three issues is a great way to help keep the weeds away permanently. If you are searching for steps on how to get rid of a lawn full of weeds, RiverView Turf is here to help. We know the frustration these plants can cause, but by following the below steps it will help you defeat weeds right in their tracks. This will help you get an idea of what type of weeds you have on your hands. There are certain treatments tailored to specific weeds, so you need to be sure of what you are dealing with before you can purchase the right product. In order to effectively treat the weeds, you need to know what stage they are in. If the weeds are already growing and established, you will need to purchase a post-emergent treatment. If you are attempting to target them prior to the growing season, you should purchase a pre-emergent treatment. Follow the instructions to properly kill the weeds. It’s important to have a clear understanding of the directions before applying the treatment. Be sure to read the bag thoroughly before starting in order to know how much of the product to apply and when to do it. This will help ensure treatment is effective. Be sure to follow a lawn maintenance schedule throughout the seasons. Taking care of your lawn will help keep it weed-free and looking beautiful. A few examples include: seeding your lawn during the fall and mowing regularly during the summer. If it’s time to give your lawn’s grass a refresh, contact the team at RiverView Turf by calling (866) 298-1504. We have a variety of sod grass to choose from including: Zoysia, Centipede, Saint Augustine and Bermuda. All are grown to the highest quality standards for a lush, beautiful and durable landscape turf to enhance your home, development project or commercial property. Landscaping and lawn maintenance are important factors that can play a huge role in improving your home or business’s aesthetic appeal. Many property owner’s invest a lot of time and money into redecorating the inside, but forget that curb appeal is just as attractive. The presentation of your lawn can play a vital role in first impressions, all while increase property value. While caring for and maintaining your lawn is important, it can be a lot of work. Your climate and site conditions should be taken into consideration when choosing what to plant. 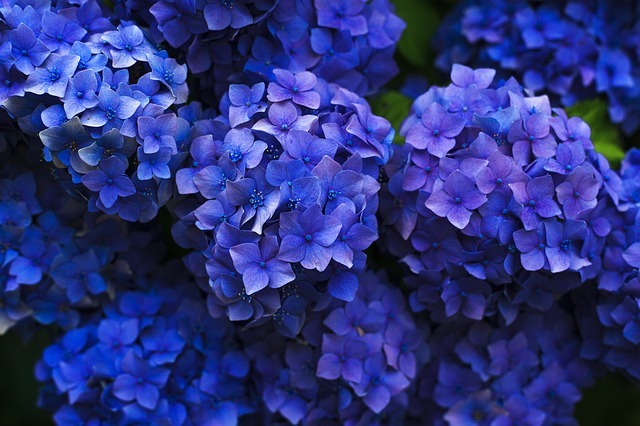 It’s also important to choose flowers and shrubs that are fit to your lifestyle and schedule. If you are searching for a few low maintenance ideas to improve your yard’s design, we have you covered! Crinum is known to be one of the strongest low maintenance garden plants that you can grow in the south. These plants are also referred to as bog lily’s due to their love of moist soil. 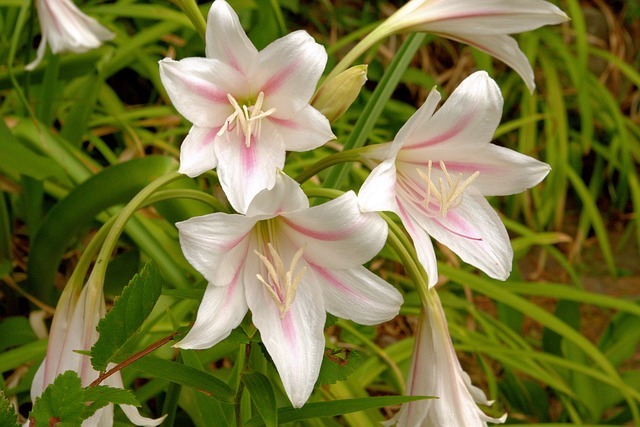 Crinum’s grow large clusters of pink, white and purple fragrant flowers throughout spring and fall. Black-Eyed Susan is a great flower to add in southern yards that face hot temperatures. This plant is extremely versatile and low-maintenance. 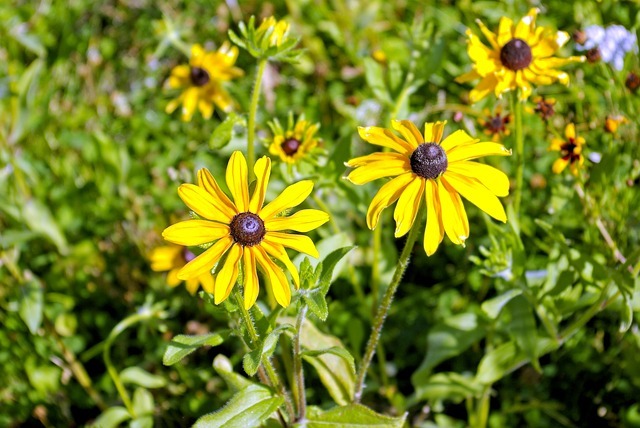 Black-Eye Susan’s are a great addition to any garden bed, and can grow three feet tall to two feet wide. 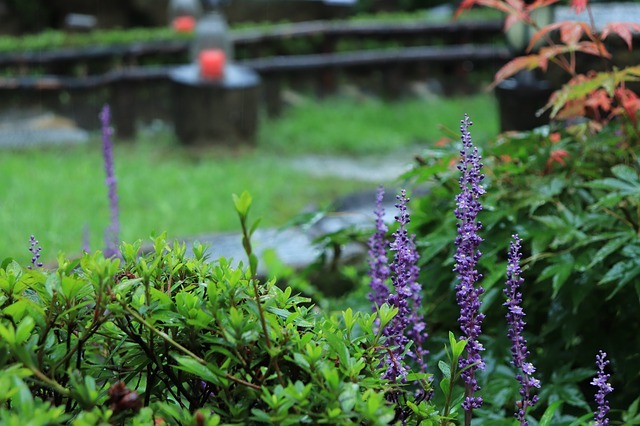 Liriope’s provide a yard with decadent appeal due to their grass-like foliage and violet flowers. These plants stay evergreen during the winter months and are often used as borders. Liriope’s are drought tolerant and grow well in souther regions. Complete your landscaping project with new sod grass from River View Turf. Our products include: Zoysia, Saint Augustine, Bermuda and Centipede. Our quality control measures surpass most farms throughout the southeast and our commitment to quality is such that we will not sell product that doesn’t meet our rigorous standards. 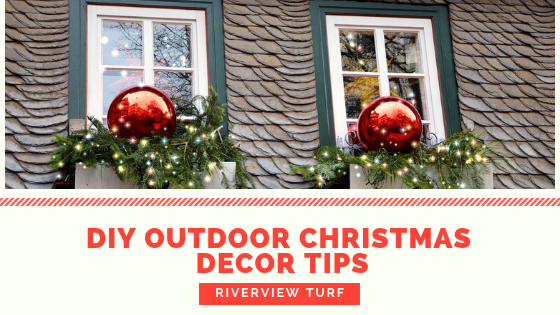 Contact the team at River View Turf for more information on our products, ordering & delivery or general questions today! If you haven’t started putting up Christmas decorations yet, you may be behind! It’s time to pull the pumpkins off of the front porch and change the dining room table centerpiece because tis’ the season for Christmas decor. Taking care of the inside is a piece of cake compared to hanging the lights outside. Although it can be overwhelming figuring out where to start, we have a few tips to help you get started! Where Can You Hang Lights? Perhaps your yard is filled with shrubs or trees that allow you the opportunity to illuminate your home this holiday season. Take some time to check out your surroundings and see what spots would best fit holiday lighting. It’s also important to take the style of holiday lighting into consideration. Do you want to use rope lights, net lights, icicles — the list goes on! So, whether you are dreaming of a Winter Wonderland theme or prefer red and green lights to illuminate your yard, there are lights out there ready to get the job done. Sounds silly, right? Putting up Christmas lights can’t be that hard! However, nobody wants to spend Christmas on crutches so be sure to use a sturdy ladder when hanging up lights. If possible, enlist the help of a family member or friend when hanging the lights. It’s also important to make sure that you are using outside lights. These lights should contain the UL (Underwriters Laboratories) label. Wow, what a relieving moment when you finish hanging that last strand of lights! Except for when you realize that a few strands have burnt-out bulbs and no longer work. Talk about a buzz kill. Be sure to avoid this by testing the lights and replacing bulbs before installing them. It will save you time and a headache! Don’t get us wrong, we all want to dazzle the neighbors and be “the house to see” during Christmas! But, it’s important to make sure you don’t overload your circuits. A common rule of thumb is aiming for no more than 1400 watts on one circuit. If your lights start to dim inside your home, this is a sign that you may have gone a little too far with the holiday lights. When you go to bed at night, be sure to turn your lights off. Same goes for when you’re not home. Many people use timers that take care of this problem for them. Hanging outdoor decorations and holiday lights is a great way to get in the holiday spirit. Ask your spouse, children and grandchildren to assist you for a day filled with family fun and memories that will last a lifetime. At RiverView Turf, nothing means more to us than family. Remember the reason for the season and to count your blessings. Wishing you and yours a Happy Holiday and a very Merry Christmas!